Pic taken at UTA 22k with coaches Greta and Chris Truscott happy to be there! Rejoov coach Greta Truscott shares her experience and advice on running shoes with James Valentine on ABC Radio Sydney on Monday 26th June. There are so many types of running shoes in Rejoov! Greta herself has various shoes for cross country, road, track, trail & swim run. Great to hear physio Joel Fuller's study & insights as well. With so many running shoes out there, it is important to find the right ones for you, your style, body weight, terrain & distance. "It was encouraging to see a few new teams running in 2017. Rejoov Runners finished ahead of many well established teams, including Athletics East, Hills, Kembla Joggers and St George" in the womens teams. In the mens teams: "On debut, Rejoov runners were outstanding placing eighth and 12th amongst the 24 teams". Miranda XC Rejoov Runners Mens A and B teams plus Enda, Jesse, Richard & 9 yr old Maggie ran as individuals - awesome effort gang!! Lots of fun. Womens A team we came 6th woohoo!! Over 45s womens team - 4th in category well done ladies! We also had an over 35s team 7th in their category. Very competitive field and record number of teams. 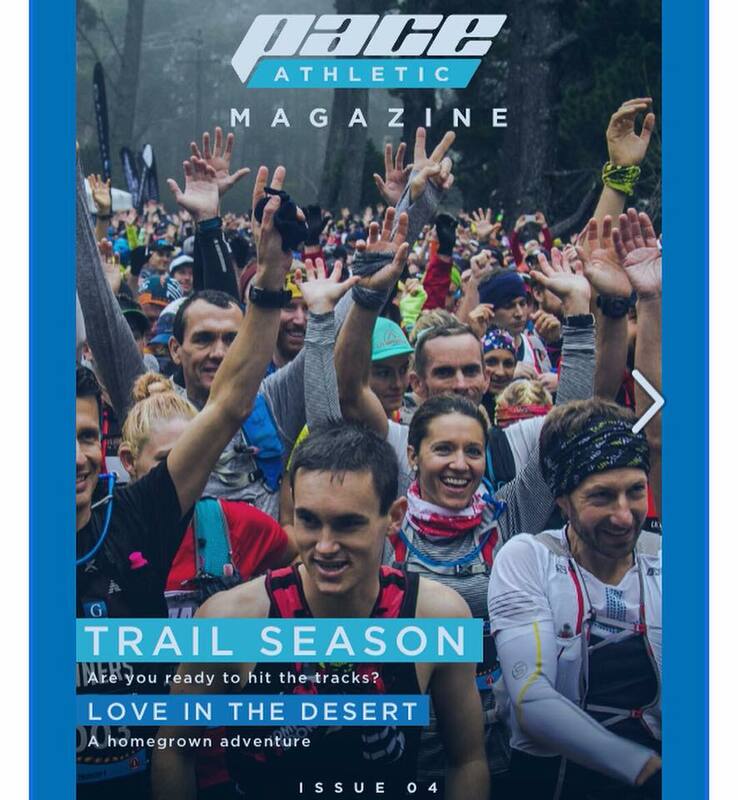 Thanks so much Athletics NSW & David Tarbotton for your article on how Rejoov Runners club was formed and a big shout out to all our runners: http://www.nswathletics.org.au/News/rejoov-runners-profile Rejoov being an affiliated club with Athletics NSW from early 2017 - we enjoyed kicking things off with a team of Rejoovers at the ANSW 5000m Champs on 18th Feb and ANSW 10,000m Champs on 24th Feb. Now we have the new Waratah Series to look forward to in the Winter 2017. Rejoover Bruce Lambert jumped in for the inaugural Lane Cove fun run 5k on Fathers Day 4th Sept 2016 winning in 17.06. The event brought the community together including the kids and event proceeds went to the Lane Cove public school, Beyond Blue and Prostate Cancer research. Bruce has been training the house down for Melbourne Marathon and has had some great times of late including a pb 49.30 in the Sydney City to Surf. Good luck Bruce! Bruce Lambert in the Northshore Times newspaper winning the Lane Cove 5k fun run. Super cool scuba diving and snorkelling video by Bangtao Dive Centre on our Rejoov Runners Retreat to Phuket, Thailand 28th May to 7th June 2016. Girls Laura James & Jacqueline O'Connor flying the rejoov flag out there in 2015 and for the lead up to the 2016 City Mile Dash (pic taken in 2015) and in the Sunday Telegraph 5th June 2016. You girls were flying in 2015 for the Rejoov Runners team with Chris and Ruth and again in 2016 for your Macquarie Bank team well done on your 1st place female team. Maroubra fun run 4k/8k is a fantastic and very popular community fun run for the whole family. Thanks Southern Courier 27.10.15 for the shout out for Rejoov Runners (team 2nd) and our coaches Greta & Chris Truscott with their double win in the 8k. Greta wins the Sharks Community fun run 10k in October 2015 and $1000 pocket money. 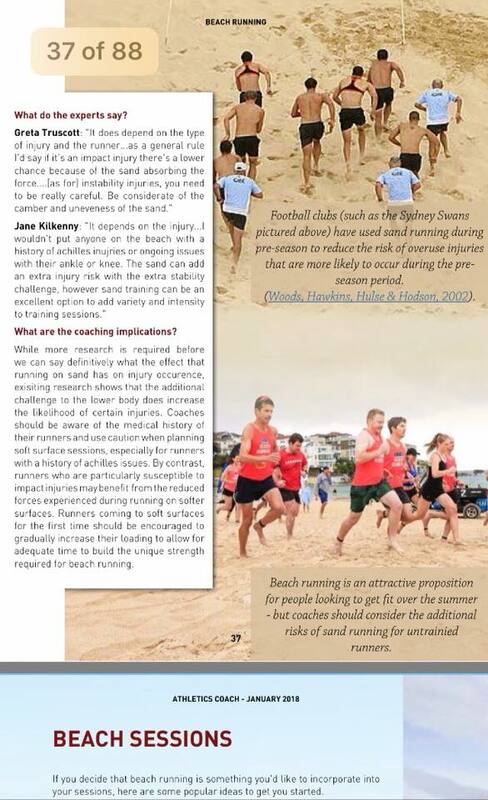 Greta's soft sand running tips on the 12WBT Blog: https://www.12wbt.com/blog/fitness/soft-serve-soft-sand-running-is-a-low-impact-full-body-workout/ Greta has 4 wins and a second place at the Bondi Soft Sand Classic 4k over the past few years and has won the Maroubra Quick Sand 10k 2015. 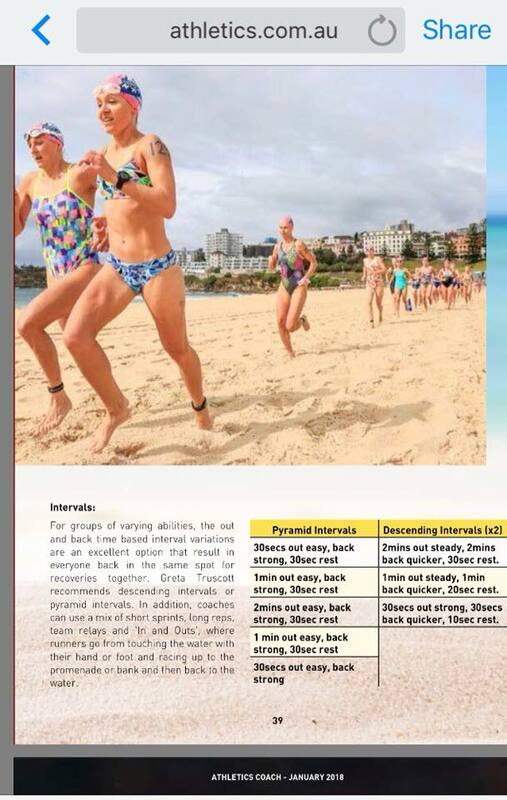 Rejoov Runners feature in an awesome double page spread in the HUGELY popular Women's Running Australia magazine in the May - June 2015 issue!! Woohoo to Rejoov!! Go Girls!! (We have many guys now too which is sensational and pushes the girls harder!). Chris coaches Kerrie to compete in the 100k World Champs in Doha, Qatar Nov 2014.